Mehbooba Mufti, daughter of the late chief minister, an MP and President of her party (PDP), took time to come out of mourning. However, even after the days of mourning were over, the party took another two weeks to decide that Mahbooba would lead the party in the legislature. With 12 Congress MLAs in the Legislative Assembly and 28 of its own, PDP+ Congress could make 40 seats. Four more could be managed to stake claim to government after hanging lollypop to the lumpen... However, any rebound like that could not be without intriguing consequences. The lady had the second thought. The news trickled down that Mahbooba will be meeting with BJP chief Amit Shah to sort out things. Does she want Shah to bail her out as internal dissension in PDP is gaining momentum? 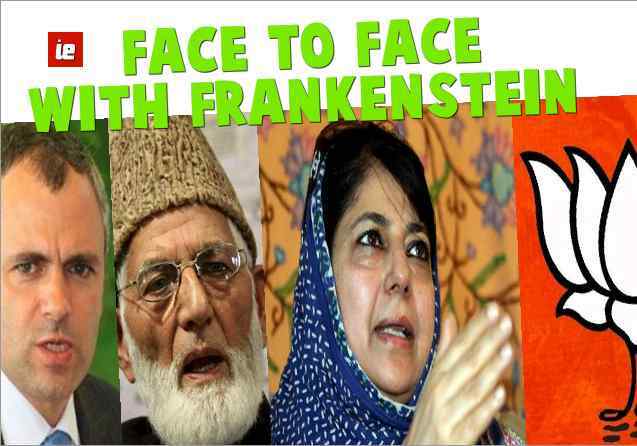 Actually, dissension within was there when Mufti was on the scene but his Machiavellian handling of personalities and situations had kept it under wraps... Interestingly, the PM did not summon PDP President for assessment of current situation in the State, thereby belying hopes of the lady that the PM would counter balance Congress chief’s visit to Srinagar. The rising crescendo of ISIS and its expansion by stealth to the Indian sub-continent including Kashmir has made her position tenuous. Kashmir separatist-secessionist leadership basking in the sunshine of Indian largesse --- a la Dulat’s revelations ---- can hardly prove they are Mr. clean. How are ISIS’ cannibals going to treat them is a matter of serious concern for the PDP President. Author is a former Director of the Centre of Central Asian Studies Kashmir University. He represented Kashmir IDP case at UN HRC, Geneva from 1991 to 2005. He is a freelance journalist and a human rights activist being the Secretary General of an NGO with ECOSOC status.